These two real-world examples highlight what is possible when retailers take an end-to-end approach to item-level RFID. This is part 3 in our series on Item-Level RFID. In part 1 (The Retail Revolution and Why Now for RFID), we discussed the foundational role item-level RFID plays in key initiatives for today’s retailers, such as omni-channel integration and a differentiated customer experience. In part 2 (The Power of End-to-End) we detailed many of the RFID-enabled process improvements possible across the supply chain. Here in part 3, we give examples of companies making some of those end-to-end improvements. One well-known and highly respected high-end fashion retailer provides a good example of an end-to-end RFID implementation. They have more than 50 stores across Europe and North America, offering a wide assortment of high-end men's and women's fashion clothing. Their goals for RFID initially were to improve visibility and inventory accuracy within their DCs and stores, in order to make smarter and timelier store replenishment decisions. Based on the success of pilots run in early 2012, they decided to roll out RFID to all stores in the chain, tagging 100% of merchandise sold. Tags are applied by their suppliers at the source. Products received at any of their distribution centers are read by a tunnel reader on the conveyor belt at the receiving operation. This automatically reads all of the items in all of the cases and compares it against the ASN sent by the supplier. If there are any discrepancies,1 then the items are put aside for rework and investigation. They found that this alone improved their supplier quality levels tremendously. And it actually saved time in the receiving process since there was no need to read barcodes anymore. The use of RFID in DCs represents an opportunity for 3PLs to differentiate themselves, based on their knowledge and ability to implement advanced practices on behalf of their client. Within the DC, this could include receipt verification, automated put-away, pick and pack verification, and ship verification. More broadly, 3PLs can use RFID to help implement DC Bypass, merge-in-transit, and other advanced logistics capabilities in a more granular and precise manner. 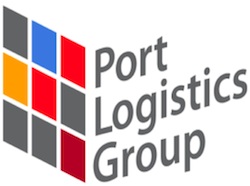 Port Logistics Group (PLG) is a 3PL that runs distribution centers for some of the largest and most admired retailers and brand owners in the world. About 60% of their base is in apparel, footwear, and accessories. They have been involved in the transition to RFID for some of their key customers. In one of their implementations, Port Logistics Group uses RFID for receive verification, using a cloud-based system from TAGSYS. Port Logistics Group plans further uses for RFID. One of their internet retailer customers demands quick turnaround. 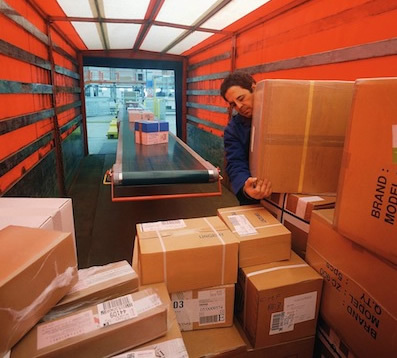 Most items need to be shipped out the same day they are received. Because each item has its own unique SKU, PLG currently has to remove each item from the carton and barcode scan it by hand. By converting to RFID, they will be able to scan the whole carton at once without even unpacking it, dramatically shortening receiving times and enabling better performance to shipment schedules. They also see the potential to use RFID to automate putaway of hanging garments on their garment hang-sorter system.3 One of the biggest opportunities is to improve cycle count of inventories. Currently Port Logistics Group does cycle counting of a portion of inventory every day, so that over several months they have counted everything in the warehouse. 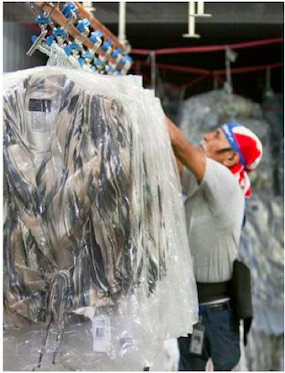 RFID will save them a significant amount of time in counting inventory, as well as increasing the accuracy. Port Logistics Group found the changeover to RFID to be straightforward. They already provide client-specific processes, so implementing separate RFID processes alongside barcode-based operations for other clients was not difficult. Workers found the equipment and software to be easy to use. They are already used to putting items on the conveyor. Pack station tasks have become even simpler. They no longer have to barcode scan each item, but simply place items into the carton on the table-top RFID reader. Overall, there has not been much training required or disruption to processes. This is the sign of a well-designed and intuitive user interface, workflow, and overall system. Port Logistics Group believes their RFID capabilities will be a competitive differentiator. Their customers count on PLG to be retail logistics experts that intimately understand the latest technology and how it can be applied to meeting retailer’s requirements. TAGSYS’ expertise and the capabilities inherent in their platform went a long way towards helping PLG meet these customer expectations. PLG plans to stay ahead of significant RFID compliance requirements they see coming down the road from more and more of their retailer customers. Their experience is that RFID helps lower their labor and space costs, thereby improving margins. For Port Logistics Group, RFID is an increasingly important part of their expertise and service offering portfolio.